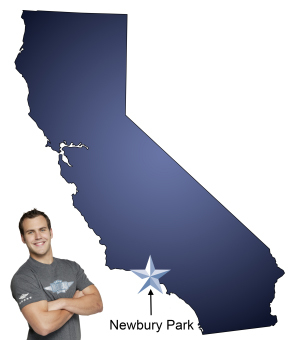 Meathead Movers is here to take care of the heavy lifting for you on your move to Newbury Park. Our clean-cut student athlete movers are ready to get you safely settled into your new Newbury Park home. Newbury Park has frequently been listed as one of the best places to live in America. Its residents enjoy a level of affluence that is one of the highest in the nation. In addition to a few corporate headquarters, the city is home to many high-tech jobs and regional corporate offices. If you are considering moving to Newbury Park, you’ll want to check out the many moving services that Meathead Movers offers. Other Newbury Park movers can’t compete with our level of professionalism, hustle and dedication to the community. At Meathead Movers, we hire young, intelligent student-athletes who are trying to pay their way through school. Our Meatheads are non-smoking, drug-free, clean-cut All-American individuals who we put through a difficult screening and training process. To prove our dedication to superior service our movers will even jog to and from the truck whenever they’re not carrying your items, saving you valuable time. To make things easier for you, we also make sure that the same movers who load your truck are the same ones who unload your truck. Meathead Movers offers several services, including long-distance moves, commercial moves and local moves. Not only do we offer support seven days a week, we also offer our special moving concierge service to make sure that your move goes smoothly. We can put you in touch with housecleaners, carpet cleaners, babysitters, technicians, maintenance workers and anyone else you might need. We’ve already done all the research for you, and we can guarantee that all our referrals meet the Meathead standard of quality. Anyone who is moving to or from Newbury Park should give Meathead Movers a call to learn more about what we have to offer. Contact us today to receive a free, no-obligation moving quote. We’re confident that our testimonials and quality of work will speak for itself and earn your respect. Moving to Newbury Park? Here are some helpful resources. View more Newbury Park resources. Your employee's, Leo and Adrian, worked diligently and quickly. They were very polite and a pleasure to work with. Everything from start to finish was amazing. The staff at every level was professional and courteous. Meathead took what would ordinarily be a stressful experience and made it seem easy. When the movers arrived they got right to work and had the entire house packed into the vans in no time, they arrived on time at both ends of the move and the level of communication throughout was outstanding. Everything was done and our items arrived at their destination in perfect shape. Thanks for everything and we will definitely be recommending Meathead Movers to everyone.